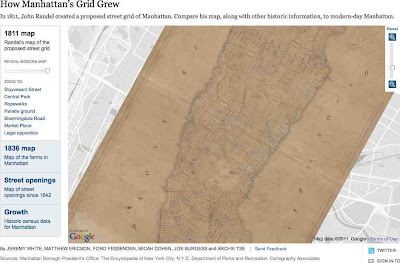 "In 1811, John Randel created a proposed street grid of Manhattan. Compare his map, along with other historic information, to modern-day Manhattan." Thanks to itsren on Reddit mapporn for the spot!